On March 12, 1990, disability rights activists gathered in Washington, D.C. to fight for the passage of the Americans With Disabilities Act (ADA), which would prohibit discrimination against people with disabilities. After the main rally, 60 activists approached the U.S. Capitol Building, leaving behind their crutches, wheelchairs and other mobility aids before they began to crawl up the 83 steps in protest. "ADA now," they chanted, during what would later become known as the "Capitol Crawl." Eight-year-old Jennifer Keelan, who was born with cerebral palsy, famously said, "I'll take all night if I have to," as she ascended the steps. The Capitol Crawl not only empowered those with disabilities, but was also seen as a success — later that month, the ADA passed House, and was subsequently passed in the Senate and signed by President George H. W. Bush that July. Now, 25 years later, a new and ambitious project is working to once again change perceptions of people with disabilities — not with political activism, but through the arts. Actors and filmmakers Leopoldine Huyghues Despointes and Diego Osorio are spearheading [dis]ABLED Inside Out, a photography project branching from the global Inside Out project — "the people's art project" — founded by photographer JR, which focuses on personal identity. [dis]ABLED Inside Out specifically aims to take 3,000 portraits of disabled individuals in New York City through a series of pop-up events, gatherings and private sessions over the next several months. 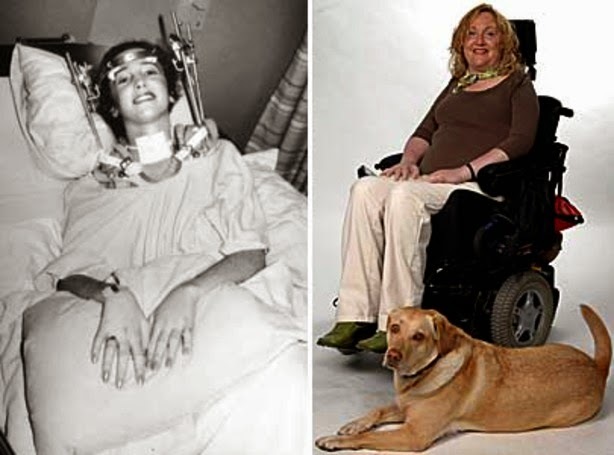 It will all lead up to a special commemoration of the ADA's 25th year in October — Disability Awareness Month — when the portraits will be publicly posted on the sidewalks of a currently undisclosed, symbolic place in New York. The first "Gathering Day," which encourages everyone to show up at a specific location and get their portraits taken, will take place Saturday at downtown Manhattan's Brookfield Place. They want to eventually host events in all five boroughs of New York City. "The idea is really to reunite everyone," Huyghues Despointes told Mashable at [dis]ABLED Inside Out's coworking space in New York City's Chelsea neighborhood. "Reunite every foundation, every organization, every person with disabilities possible. We really think that if we gather all these portraits, these humans, we can actually call for change." Although Saturday is the first Gathering Day, there have been several Pop-Up Days already, when the team went to certain disability events and set up photo booths. So far, they've taken about 250 portraits at events such as the Ability Expo and the Osteogenesis Imperfecta Foundation Conference. 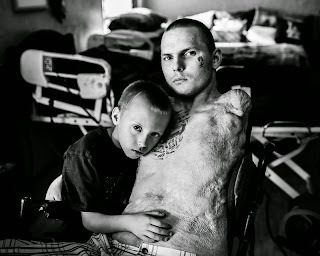 Huyghues Despointes was born with osteogenesis imperfecta (OI) disease, often known as brittle bone disease, usually categorized by fragile bones and other bone and muscle issues. Although she's always used a wheelchair, her mother raised her and her sister, who was also born with OI, to be incredibly independent. She was encouraged to do anything other children could do — she went scuba diving and horseback riding, she's traveled the world and has done other things people might not expect. But Huyghues Despointes realizes that many disabled people don't grow up with that kind of support or mindset, and now hopes to empower them. "When you see people on the bus and you see someone in a wheelchair and a kid's staring, and the mom says, 'Stop staring' — this is the complete opposite," Osorio said. "We're taking it to the other level. We're saying, 'Come, show us who you are.'" "Be seen, be heard," Huyghues Despointes added. "Usually people with disabilities are put in a closet, seen as a problem or issue for society. Pity — that's what we're trying to break. And people are so excited to be a part of this. It's amazing." She explained that people often look at those with disabilities and don't think they're cool. "I'm sorry, I'm cool," she said with a laugh. 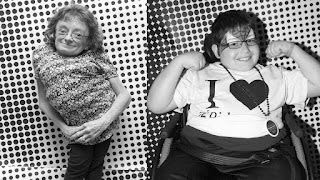 So while the project aims to show the struggles disabled people face, it also conveys the personalities of people who have overcome those struggles. That's why, beyond the portraits, [dis]ABLED Inside Out is also creating a documentary. The project, and the encounters they've had so far, have also affected Huyghues Despointes and Osorio in great ways. For example, Huyghues Despointes said that before three months ago, she had never stood up out of her wheelchair in front of a camera. "With this project, I stood up, because you have to. It's just amazing, and it feels good. You just want to stand up for the cause," she said. But people without disabilities can also support the cause — anyone who has friends or family affected by disabilities and wants to effect positive change is welcome to participate. "Once again, the Inside Out project is the people's project," Huyghues Despointes said. "We want everyone to participate, and we hope everyone will show up on Saturday and have their portrait taken." May 21 TEDXSydney launched the #StellasChallenge campaign at the Sydney Opera House. Despite being billed as "a major initiative designed to contribute to the social inclusion of people living with disabilities", the campaign has caused outrage in much of the disability community. 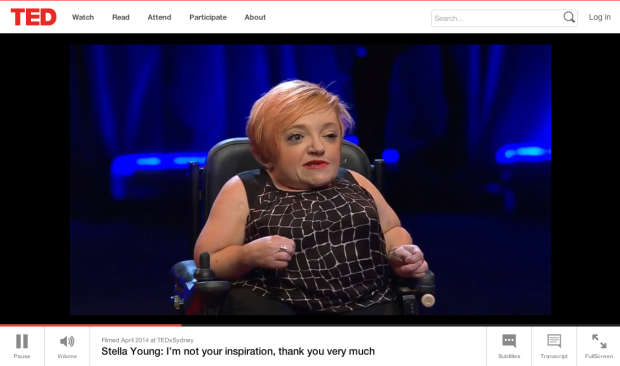 Named after the late disability activist Stella Young (pictured), #StellasChallenge encourages members of the public to ask people with disabilities a series of questions or conversation starters like such as "Would you mind if we talked about your disability first, so that I can understand how best to refer to it, and would you mind if we explored how it has impacted your life?" Well, this isn't necessarily a bad thing, I hear you say. It's good that people want to learn more, right? But as Stella's friend and a wheelchair user myself, I have experienced first hand how reductive (and frankly repetitive) these questions can feel. Stella and I have spoken many times about the fact that it's not our disabilities which have impacted our lives, but the structural and economic exclusion surrounding it. As Stella summed it up in her widely shared 2014 TedX talk, "Life as a disabled person is actually somewhat difficult. We do overcome some things. But the things that we're overcoming are not the things that you think they are. They are not things to do with our bodies. I use the term disabled people quite deliberately because I subscribe to what's called the social model of disability, which tells us that we are more disabled… by the society that we live in than by our bodies and our diagnoses." So it's particularly disappointing that TedXSydney appears to have misunderstood this important part of her message. For one thing, the wording of #Stellaschallenge seems to suggest that all she was advocating for was a change in attitudes. But if you have read Stella's work, or if you had known her as a friend, she made it clear, repeatedly, that she believed we deserved much more than an awareness campaign. Indeed, the act of "questioning what you think you know about disability" calls not so much for a literal inquiry of facts, but the dismantling of presumptions, stereotypes and misconceptions you may hold about people with disabilities, what our lives are like and even questioning the structures and institutions in society which have taught you to think that way. More importantly, it means questioning how we can address disability disadvantage and then actually implementing the changes that will improve our lives. In Australia, almost one in five people have a disability and yet 45 percent of us live on or below the poverty line. A landmark report by Women with Disabilities Victoria into women with disability experience of violence in 2014 found that we are at least twice as likely to experience violence as women without disability, with 90 percent of women with intellectual disability having experienced sexual abuse. These are the issues we desperately need to address for people with disability. Not asking us questions but taking action. Last week, a petition has been launched to call for these concerns to be addressed in #Stellaschallenge. So far, it has attracted almost 1,000 signatures. We are angry, and we are deeply saddened that Stella's name is being used to spearhead a campaign that is not being led by or co-designed by people with disabilities. Instead, TedXSydney had chosen to consult with disability service providers and charities that are not run by people with disabilities. Stella was not a supporter of the onus being placed on people with disabilities to tell strangers about our conditions. She was also not a fan of portraying disability as a tragedy. As disability activist group Crip Army states, "An awareness campaign will not allow us entry into the job market, or make the built environment accessible, or stop abuse, or discrimination. An awareness campaign will not find us accessible housing, or a way out of poverty, or opportunity to make our own decisions about how we live our own lives." It’s Thursday night and Nina G (pictured) is about to get on stage for a comedy set. “I'm a little too overwhelmed to be anxious,” she tells me before taking the stage. Normally she performs in clubs and bars, but tonight she’s at SOMArts - a cultural center in San Francisco. The gallery is crowded with people and with art. A sign language interpreter is on stage signing her whole performance. Nina G introduces herself. And then, she gets right into it. 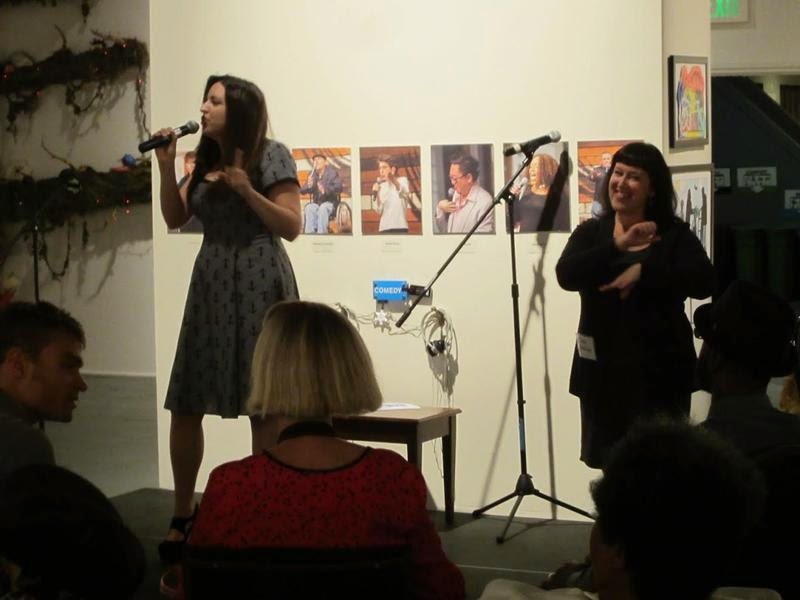 Tonight is the opening of a gallery show that features artists with disabilities and the Comedians With Disabilities Act are the live entertainment. Their name says it all. And Nina G’s first joke about people not thinking she’s disabled enough brings up a common problem for the members of her comedy troupe. Nina G explains her connection to him. It’s a balance between being funny, being edgy, and educating people. “One to screw it in and 5 able bodied people to say ‘You are such an inspiration!’” Nina G says. Back at the show, Nina G finishes up and Eric Mee - a comedian who’s blind, begins his set as he takes the stage. This performance featured most of the comedians in The Comedians With Disabilities Act. The group performs together around Northern California about every two months, the rest of the time, they are solo acts. Michael O’Connell founded the group back in 2010. O’Connell refers to himself as a wheelchair comedian, as he explains on stage. He feels his identity and his jokes are wrapped up with one another. And sometimes the audience reacts to this specific difference by not laughing. O’Connell explains. At this show at SOMArts, people were laughing, but every performance is a bit different. Afterwards Nina G explains that when an audience tries to be politically correct it can be awkward. “No, you not laughing at us shows that you still have remnants of discrimination and and and bias, because you're not treating us like everybody else. At an open mic once there was a woman who was in the audience and she was covering up her eyes and she wouldn't look at me and so I got the mic and I got right in her face and I did eh-eh-eh and I stuttered and then it broke the ice it was good." It worked that time. But does their act work other times? Can one night of comedy change a person’s behavior? Michael O’Connell says that after a show in New York someone came up to group member Steve Danner. That’s what O’Connell and the rest of the group hopes to see. A few jokes can be a good way to talk about things that maybe aren’t getting enough attention, while having a fun evening at same time. Learn more about the Comedians With Disabilities Act here. From Mashable. 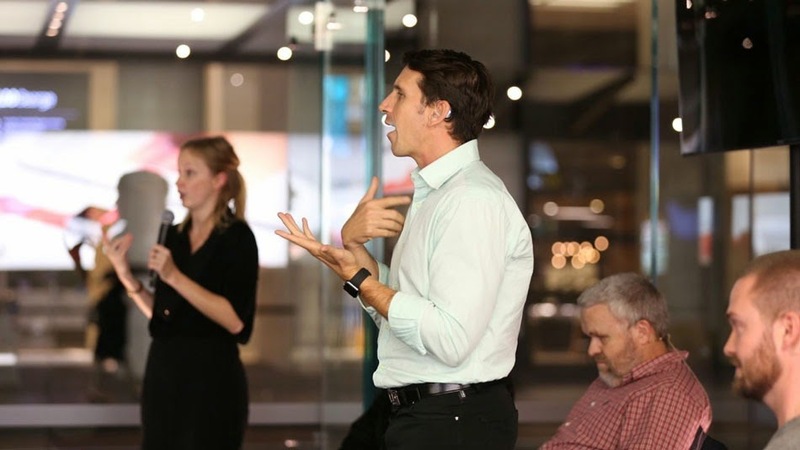 Pictured is Alex Jones, a Deaf American who works for Ai Media, a captioning company, speaking at the Apple Store in Sydney, Australia. 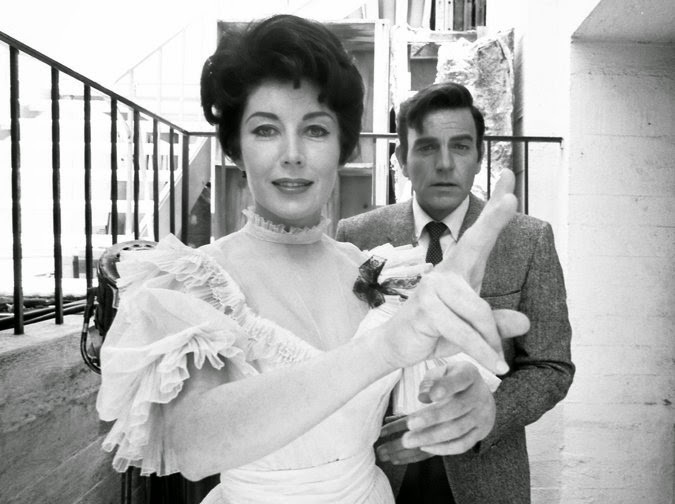 Audree Norton, a deaf actress whose fight to be cast on a television show in the late 1970s effectively ended her career in the medium but greatly helped the careers of deaf actors who followed her, died on April 22 at her home in Fremont, Calif. She was 88. Her death was announced by her alma mater, Gallaudet University, in Washington. At her death, Ms. Norton was an emeritus professor at Ohlone College in Fremont, where she taught English, psychology and drama. Ms. Norton was a founding member, in 1967, of the National Theater of the Deaf. The company’s formation was a watershed moment in the employment of deaf actors, who had enjoyed steady work in the silent-film era but had been marginalized with the coming of talkies. The National Theater of the Deaf was the first company to present regular productions in American Sign Language. Today used by hundreds of thousands of deaf people in the United States and parts of Canada, A.S.L. arose spontaneously among deaf Americans in the early 19th century. But by the 1960s, it had long been stigmatized as a crude pidgin English. At the time, its myriad grammatical complexities — as rich as, though quite different from, those of English — were only dimly understood. In both productions, narrators translated the action into spoken English for the benefit of hearing audience members. In the late 1970s, she and her husband, Kenneth Norton, who is also deaf, auditioned for the roles of the mother and father in “Mom and Dad Can’t Hear Me,” an ABC Afterschool Special about a hearing teenager (played by Rosanna Arquette) with deaf parents. The show was broadcast in 1978, with the parents played by two hearing actors, Priscilla Pointer and Stephen Elliott. The Nortons responded with a public battle, filing a complaint with the Screen Actors Guild and rallying other deaf actors to the cause. In 1989 The Los Angeles Times reported that before the fight over “Mom and Dad Can’t Hear Me,” only 33 percent of deaf characters on TV were played by deaf actors, compared with 78 percent a decade later. Audree Lauraine Bennett was born on Jan. 13, 1927, in Great Falls, Mont. When she was 2, a bout of spinal meningitis left her deaf. With her mother, she moved to Minnesota, where she attended what is now the Minnesota State Academy for the Deaf in Faribault. She earned a bachelor’s degree in English from Gallaudet College, as it was then known, in 1952, and married Mr. Norton, a classmate, that year. She received a master’s in rhetoric and public address from California State University, Hayward, in 1976. Ms. Norton began her acting career at mid-century as an on-camera model, appearing in TV commercials for Kodak and Royal Crown Cola, accompanied by a hearing actor’s voice-over. Besides her husband, Ms. Norton’s survivors include a daughter, Nikki; a son, Kurt; two grandchildren; and a great-grandchild. Another son, Dane, died in 1990. She was awarded an honorary doctorate from Gallaudet in 2012. FREDERICK, Md. 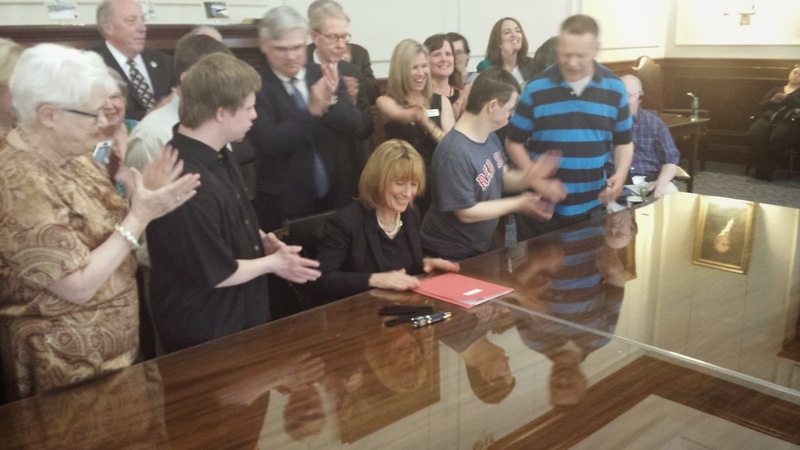 (WUSA9) -- The state of Maryland took a big step forward for people with intellectual and developmental disabilities on May 12. Governor Larry Hogan signed a bill that turns up the volume for the voices of people with intellectual and developmental disabilities by mandating that self-advocates become involved in the training of police officers. For more than two years, Patti Saylor of Frederick, Maryland has been channeling her pain into fueling change. Patti Saylor says it was done in her son Ethan's honor,"This will be the Ethan Saylor alliance for self-advocates as educators and its essence is to recognize that people with intellectual and developmental disabilities should be at the table for anything we discuss." 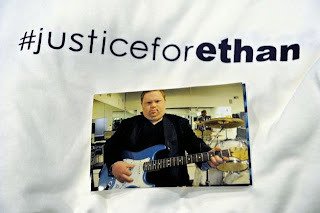 It was January 2013, when Ethan died in police custody after being removed from a movie theater by three off-duty Frederick County Sherriff's deputies moonlighting as security, for not having a $12 movie ticket. 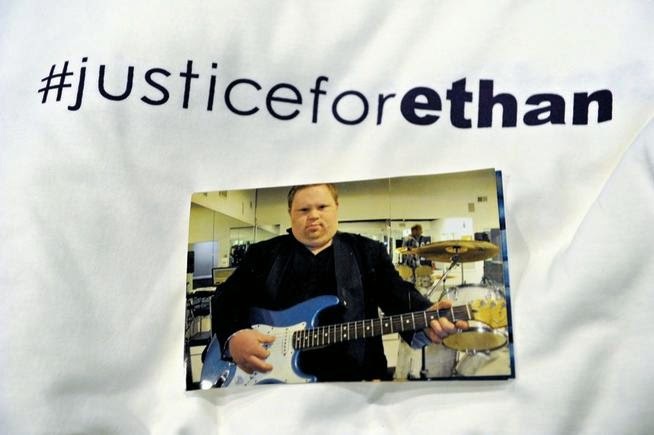 The Medical Examiner ruled Ethan's death a homicide by asphyxiation. A grand jury found no wrongdoing on the part of those deputies. Patti Saylor's fight for justice and police training has included a civil lawsuit, petitions and the appointment of the first-ever Commission for the Effective Inclusion of Individuals with Intellectual and Developmental Disabilities. Now the people she's fighting for will be able to help train police and have a voice. Law enforcement training has already started in the state with all new recruits. Now, Patti Saylor hopes self-advocates from the intellectual and developmental disability community will be involved in that training. "Self advocates have a voice and we need to listen to them. It's their life," Patti Saylor said. The bill signed goes into effect July 1st, Maryland is the only state in the country that has such a bill. If any country is in desperate need of a feel-good film this Christmas, it is an angry, struggling France. If any cinema industry is in need of a box-office office triumph after a flat 2013-14, it is the French cinema industry. The advance buzz for La Famille Bélier, which opened across France tonight, has been extraordinary. "Here is a film that makes you laugh, makes you think and occasionally makes you cry," said the newspaper, Le Parisien. Even before it opened, based on advance viewings and test screenings in the provinces, the movie was predicted to be the next big French hit, following in the steps of The Artist (2011), Intouchables (2011) and Amélie (2001). On the basis of the trailer alone, the film has been sold to 85 countries. A Hollywood remake is planned. The film tells the story of a deaf-and-mute farming family with a 17-year-old daughter who can not only hear and speak but sing, beautifully. Paula Bélier's decision to leave home to become a professional singer is a sweet calamity for her parents. Their daughter is their mouth and ears. They want her to succeed but cannot comprehend her talent. Advance acclaim for the film has, however, fallen on deaf ears in one constituency in France: the five million French people who have hearing difficulties and the 500,000 who cannot hear at all. Some – but not all – activists for the deaf are angry that two well-known actors with perfect hearing were cast to play Paula's parents who are Deaf Sign Language users. They also complain that the deaf characters are the main source of comedy in the film. Karin Viard (who plays Paula's mother, Gigi Bélier) and François Damiens (her father, Rodolphe Bélier) were given a crash course in sign language. The results to those fluent in signing are said to be absurd, as if James Bond were to say "shaken not stirred" in a deep Russian accent. "The actors sign like pigs," said Emmanuelle Laborit, a deaf French actress, who is director of the International Visual Theatre. "It is as if they were foreigners who can't speak French properly. Would we allow actors to black up to play a black character?" Several senior figures in the French deaf community have decided to boycott the film. Hélène Champroux, who campaigns for French sub-titles in French cinemas, was disturbed by what she saw at an advance showing. "All the deaf characters are over the top. The hearing characters are more normal. Why is that?" she asked. Other deaf people disagree, vehemently. They say that the comical body language of the actors accurately conveys the way that people with impaired hearing sometimes have to exaggerate their movements to be understood. Viguen Shirvanian, a deaf cinema critic, says: "I found François Damiens especially to be astonishingly believable in his gestures. There is nothing shocking in casting non-deaf actors. Did anyone complain when François Cluzet played a paraplegic in Intouchables?" Karin Viard is a popular comedy actress in France and often plays nervous, in-your-face characters. Her portrait of Paula's mother Gigi – an aggressive, funny, emotional woman with a heart of gold – is a typical Viard performance. She makes no apology to her deaf critics. "Deaf people don't go in for politeness and diplomacy," she says. "They are like energetic clowns, who use their bodies to express themselves. Just like me." Both Viard and the Belgian actor François Damiens have won high praise for their performances from hearing critics and filmgoers. So has Louane Emera, the 18-year-old newcomer who plays Paula Bélier. The film's director, Eric Lartigau, had great difficulty in finding a young French actress who could also sing. A friend advised him to look at tapes of The Voice, the French version of the television talent show also seen on UK screens. He stumbled on Emera, from a large working-class family in norhern France, who was eliminated in the 2013 semi-final. Lartigau went to see her the following day and told her that she was starring in his next film. She accepted enthusiastically. The other star of La Famille Bélier does not even appear in the film – Michel Sardou, an ageing, middle-of-the-road French crooner who is scarcely known outside the Francophone world. The music teacher who recognises Paula's talent (played by Eric Elmosnino) is an unconditional Sardou fan. He tells his doubting class: "Michel Sardou is to French song what Mozart was to classical music." All the numbers sung by Paula – in a raw but beautiful voice – are Sardou classics. The most moving – "Je Vole" (I am flying) – is about a young person leaving home and moving on, just like Paula Bélier. Whatever British cinemagoers make of the film next year, they will reach for their hankies in their thousands when Emera as Paula is asked by her deaf, bearded dad to find some way to convey to him her love of singing. She sings "Je Vole" into his mouth while he hugs her so that he can feel something of the rhythm of her voice through the contact between their bodies. French filmgoers are perverse. Films that are flagged as blockbusters often flop; some of the great successes of recent years, such as Amélie, received little advance hype. 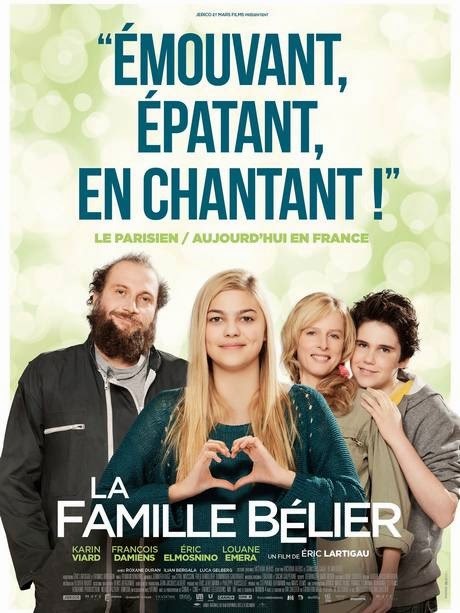 La Famille Bélier, like many French comic films, lacks subtlety and polish. All the same, as Shakespeare says – "You've seen how it can rain while the sun shines?" – laughter and tears are an irresistible double act.